Too lazy forgetful busy in the morning to check the weather? 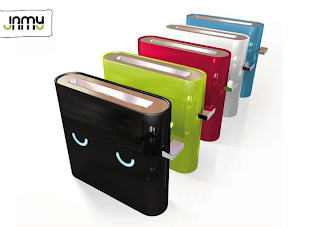 Don't get caught unprepared for the elements any more with Jamy! 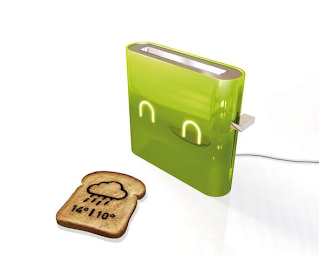 Jamy is a concept toaster by Nathan Brunstein that prints out the day's weather forecast on your toast. Killing two birds with one stone - always a good idea.